It was a slow start to winter, but the cold weather has finally arrived with a vengeance. So watch out: That means dry and itchy skin is on its way, brought on by challenging conditions outdoors and in the home. 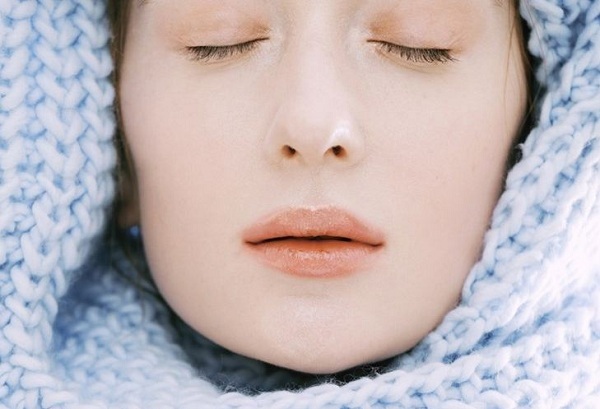 But changing up your daily skincare routine, even just slightly, can help protect you against winter dryness. Follow these three steps all season long to help your outer layer stay soft, smooth and free from itching and irritation. Skip the washcloth, which can make itchy skin worse. When you get out of the shower, pat yourself dry with your towel -- no scrubbing or rubbing. “Creams and ointments are more moisturizing than lotions, so I tell my patients to save the lotion for summer months and use something heavier and richer for the wintertime,” says Burris. Indoor heating strips moisture from the air, so consider getting a humidifier for your bedroom; run it while you sleep throughout the months your heat is on. “It will replace some of the moisture that's lacking in the air, and that will be reflected in how your skin looks and feels,” says Burris. Follow the manufacturer’s guidelines to keep the humidifier clean and prevent the growth of bacteria or mold. Not interested in investing in a humidifier? Setting a dish of water on your radiator can deliver similar results. It's also important to replace moisture from the inside out. Be sure to drink liquids throughout the day, even if you don't feel thirsty. Yes, coffee and tea count (just go easy on the cream and sugar). When it comes to keeping your skin comfortable, you can't go wrong with water -- it provides hydration without the extra calories.